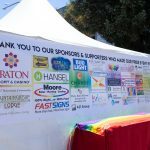 Join Sonoma County Pride, our Community Partners and your neighbors and friends for a laid-back day in the park. Bring a picnic lunch or enjoy awesome eats from one of our popular food trucks. Adults, youth, families and pets-on-leash all welcome.